30 P-S Tyler, site No. 30, the on the Portland-Spokane airway. Jeff Stein discovered this arrow. It is on Private Property and Posted with "No Trespassing" Signs. Don’t think I don’t have other surprises left. I do. Washington State does have an arrow left. 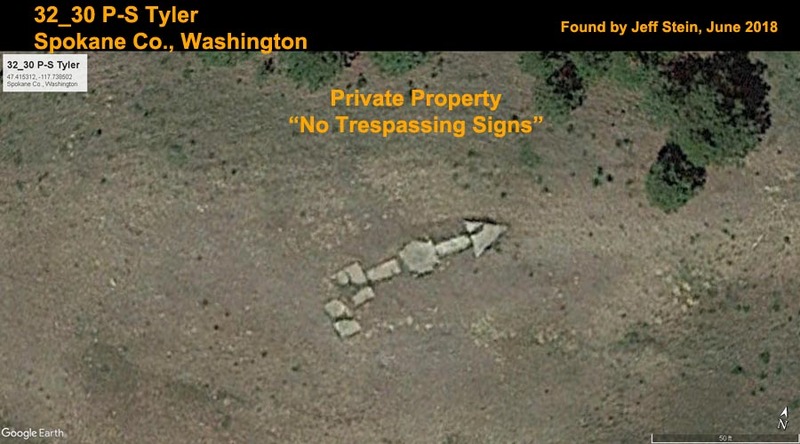 I don’t want to publish the location of the Washington arrow just yet. We tried to reach it last week. It is in the middle of a huge ranch and predictably there are “No Trespassing” signs all around it. Rita and I got within a mile of it, but I won’t trespass. I don’t think my drone could have reached it, so I didn’t send it up. However, I do have the address of the ranch and I am going to write them a letter and ask for permission. I am going include an original First Flight Cover from the area as a gift. 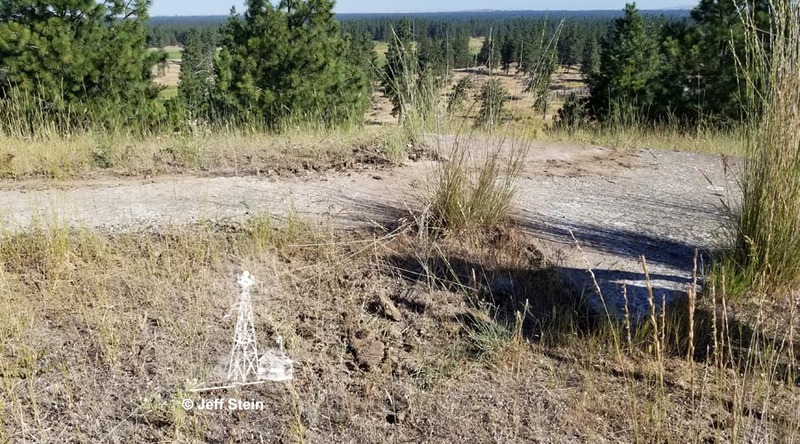 I’ll explain that we are amateur historians and would like to document the site and that once it is published on the Internet (on the most visited website about the airway system) it will include your usual warnings about not trespassing. I am going to include a SSA envelope, email address, and phone number to make it easy for them to respond. I am going to try to get it out this week and then we’ll see how they respond. The owners were so gracious and welcoming. I worry that if we post it, that people will come bugging them.